Russia Will Have 55 Stealth Sukhoi T-50 Fighters By 2020, But Are They As Good As The US Stealth Jets? Russia’s announcement this week that it will be operating a sizable contingent of its first stealth fighter, the Sukhoi PAK-FA (also known as T-50), by 2020 has intrigued from the defense world. The first deliveries will begin in 2016, and in four years' time the Russians will field 55 of the impressive-looking jet, which resembles closely the American F-22. But the aircraft’s general stealth capabilities, and whether Russia truly has entered the small club of countries capable of producing stealth technology, are still debated. Only the U.S. has stealthy aircraft in service; China has flown prototypes. The T-50 is also the product of a partnership between the Indian and Russian governments, with both contributing to the cost of developing the plane, estimated at around $10 billion, but with some sources mentioning figures as high as $35 billion. The program is expected to produce about 200 jets. 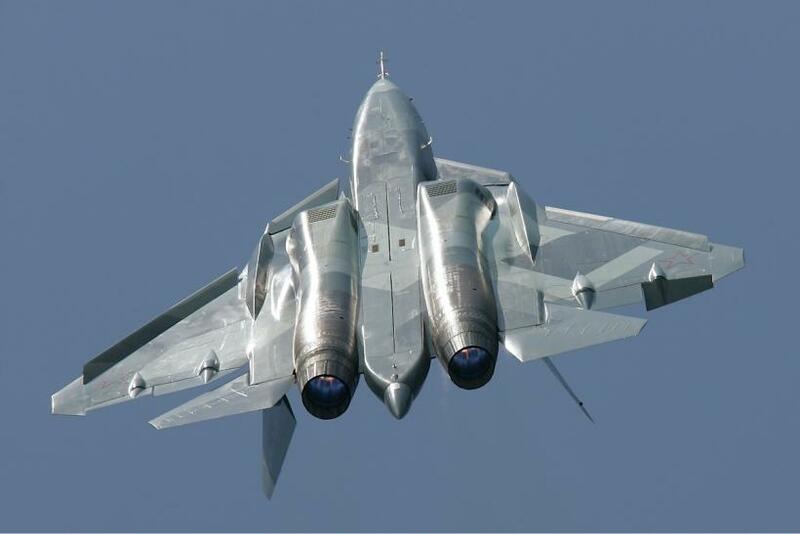 Vladislav Goncharenko, the deputy director for combat aircraft of United Aircraft Corporation, Russia's state-controlled aviation conglomerate, said the Russian Air Force has already received five T-50s with another three in construction. But the question of whether the T-50 joins the United States’ F-22 and F-35, and China’s Chengdu J-20 and Shenyang J-31, in the circle of stealthy fighters is a difficult one. Different standards of stealth technology and maneuverability, and different computer systems, mean that each aircraft, according to Aboulafia, has different qualities as well as flaws. Yet, the American F-22 remains unmatched. But Russia won’t be too upset even if the airplane proves to be not the equal of the F-35. The T-50 comes in at a fraction of the price of the Lockheed Martin jet, which is expected to cost upwards of $1.5 trillion. According to retired U.S. Air Force Gen. David Deptula, who was deputy chief of staff of the USAF, the T-50 is a “pretty sophisticated design” and has “greater agility” and a more aerodynamic design” than the F-35. However, Deptula said the U.S. still has the edge in terms of sensors and data fusion, two critical components of modern warfare. Overall, it appears that Russia is developing a competitive aircraft, but perhaps some years from developing a pure stealth aircraft. “The Russians are moving in the right direction, that much is true,” Aboulafia said. France Won't Deliver Warships To Russia. Period.